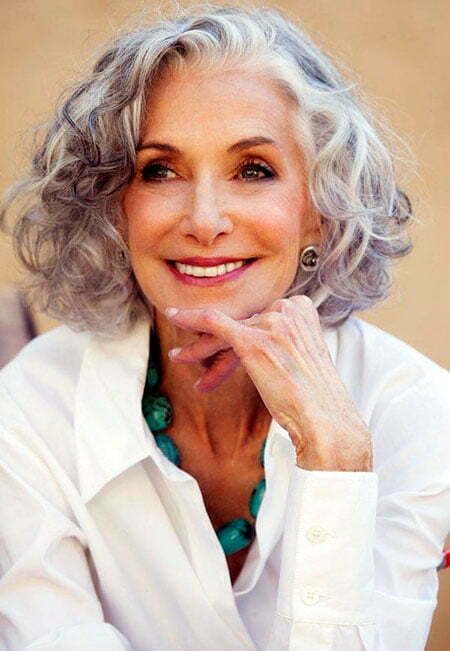 Not only young women who deserve stylish haircuts, but also older women do! 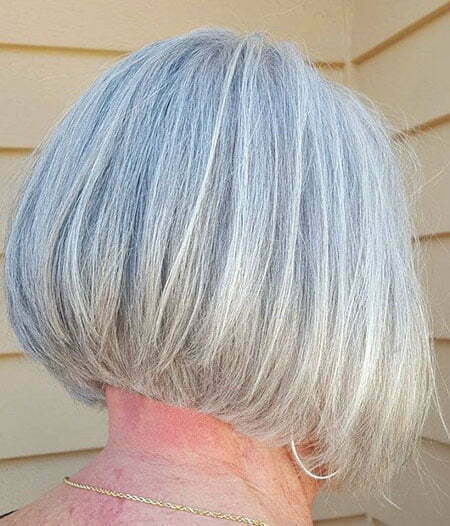 Nowadays, there are many hairstyles fitting for elders, from long to short hair. Short hair itself has many haircuts, but the popular and classic one is bob. This haircut lasts forever and it is never boring. 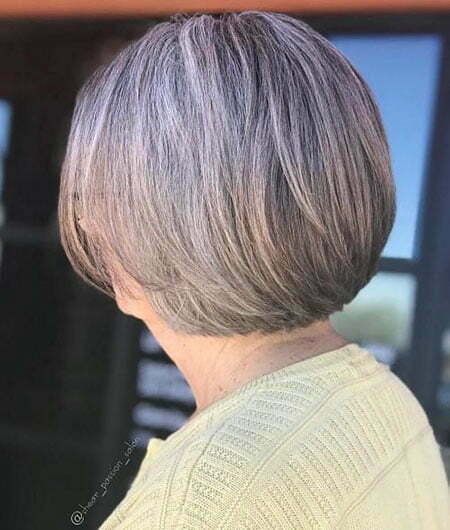 In this article, we offer you 18 awesome short bob haircuts for older women! 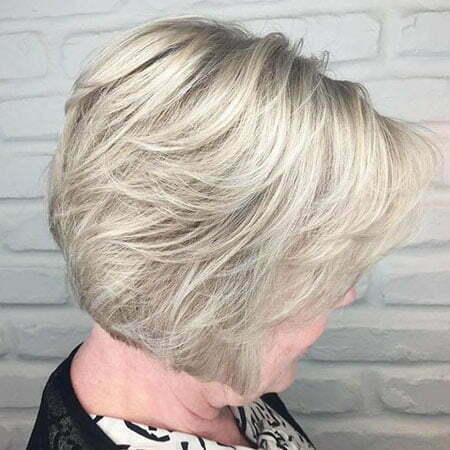 If you love layers in your hair, we provide you many options, such as short bob with layers, medium white blonde feathered hair, layered blonde bob, short bob with long layers, layered bob with highlights, pixie bob with stacked layers in the back, layered graduated bob and soft layered nape-length bob. 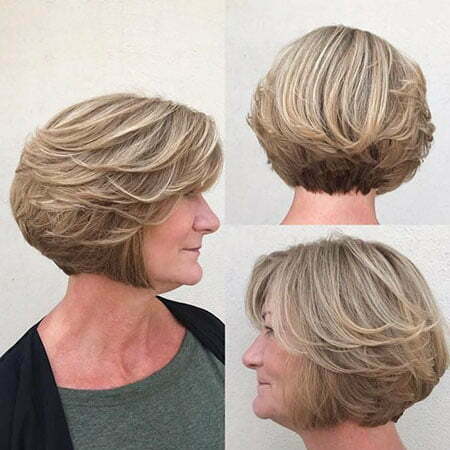 To make short bob with layers, your shorter layers must be brushed back to make a feathered hair look. 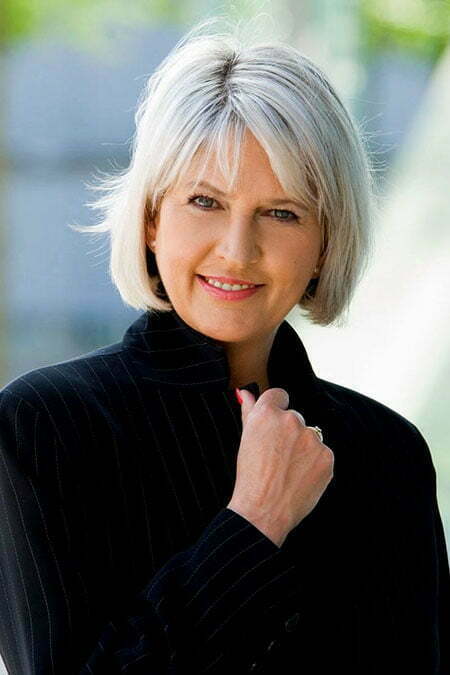 Medium white blonde feathered hair is like short bob with layers, but the hair is colored with white blonde. 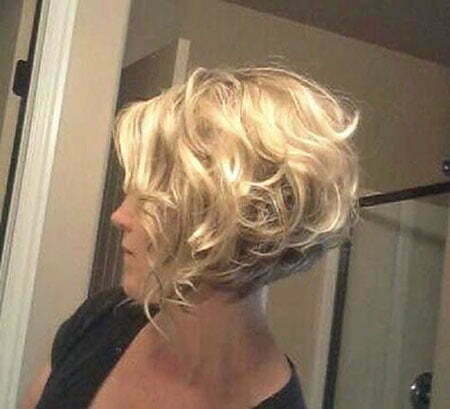 If you want to have edginess in your hair, you can choose short bob with long layers. The long layers give more volume in your hair and cover your side of face. 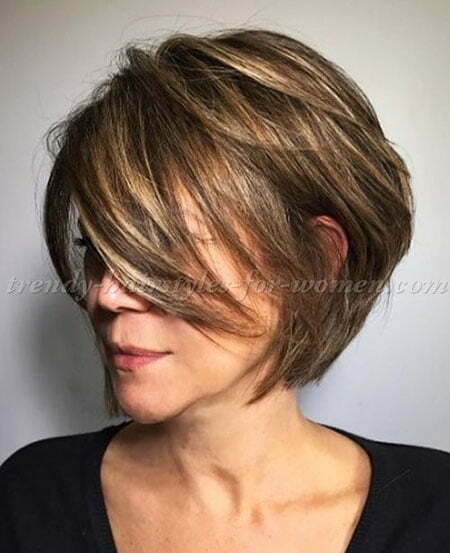 Layered bob with highlights give a great volume in your hair and the highlights make you really chic and look young. 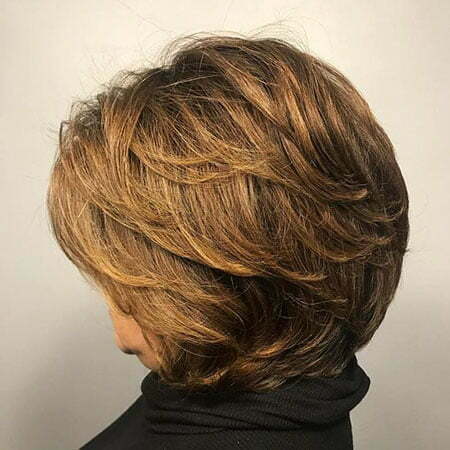 Meanwhile, pixie bob with stacked layers in the back and layered graduated bob look similar, but the pixie bob gives more attention on the layers in the back than graduated bob. 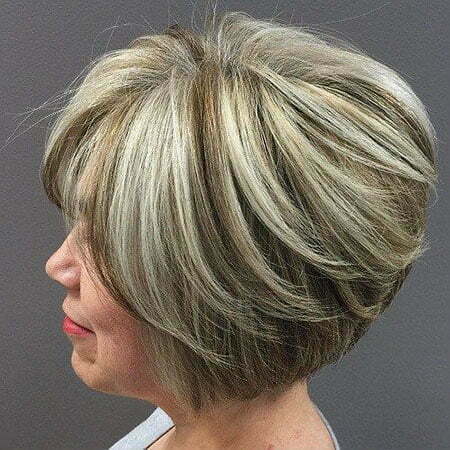 The soft layered nape-length bob is really light and gives a feminine side for you. Besides layered bob, you can also choose sleek blonde, soft curly blonde and golden bob if you want to look elegant and fashionable. The blonde hair is usually applied because it shows more haircut’s details. A golden bob gives more glamorous side because the color so stands out. It is easier to be a center of attention. These haircuts fit for any kind of faces. 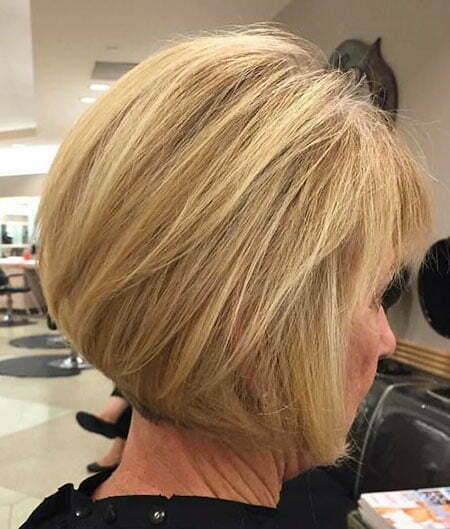 If you want to be different, straight blonde bob with bangs, textured razor cut bob, blonde cropped, two toned, round brush, blunt nape-length and messy pixie bob will be good for you! These hairstyles will give you a younger and trendy look. The bangs which cover your forehead add more edginess on your hair. Meanwhile, the textured razor cut bob will make you look so chic. The rough cut in the textured razor cut shows more volume and it will make your hair lighter and more natural. 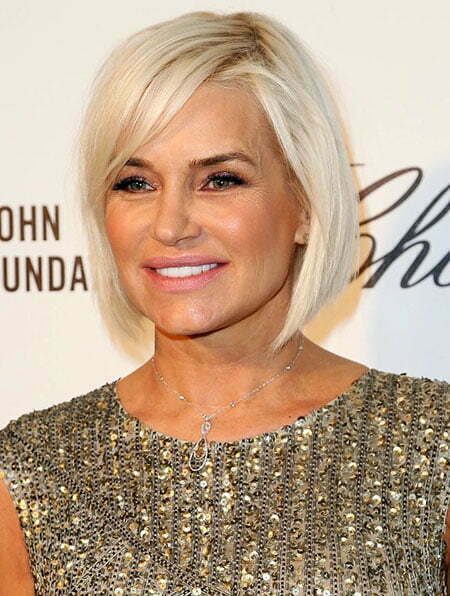 For the round brush bob, this short hairstyle will fit more on you who have a heart-shaped and oval face. It is because this bob makes a round shape. 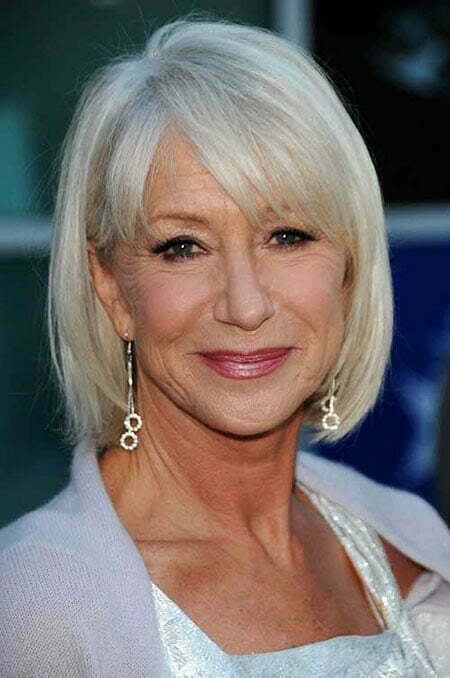 Just check these short hair ideas for older women below and choose one for you. 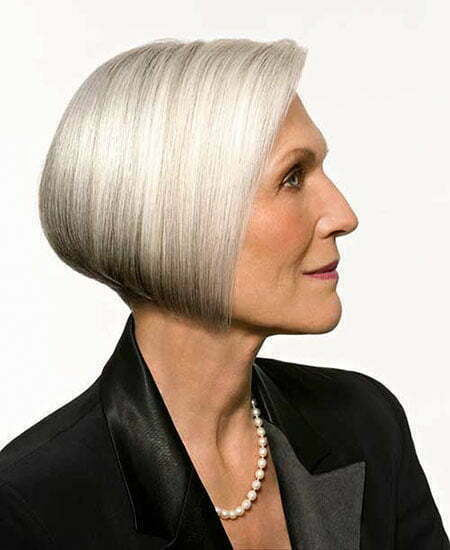 These are some examples of short bob haircuts which can fit for older women. 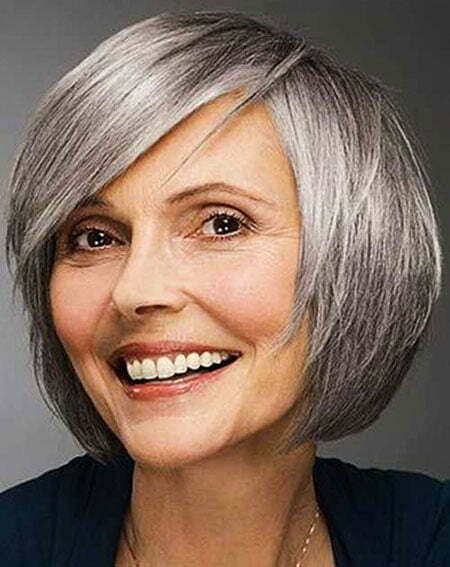 If you are young, you can recommend these bobs to your mothers or grandmothers, so they can look as trendy as young women. 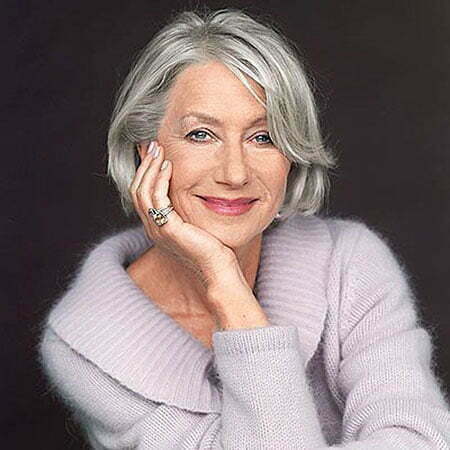 These hairstyles will make each old woman satisfied and happier!